Patco has developed a charger which permits quick charging of all (9, 13.5, 18, 27 and 40.5 Ahr.) PATCO NiMH battery packs. In order to use a quick charger, the NiMH battery pack must be ordered with a built-in temperature sensor. When the pack reaches full charge the sensor detects the temperature rise and interrupts the charging current. 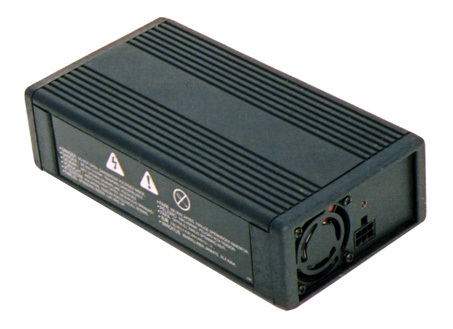 The charger will operate on any input voltage ranging from 100-240 V 50/60 Hz.